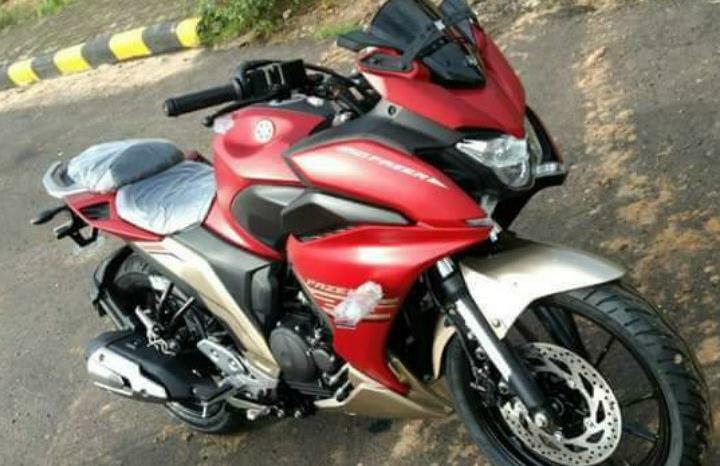 Pictures have surfaced over the interweb of what appears to be the Yamaha Fazer 250 in final production trim. The Fazer 250 will be the faired version of the FZ25. In what seems to be a breakaway from tradition, the Fazer 250 carries a full fairing, as opposed to the Fazer-Fi or the larger Fazer variants sold abroad that come with a half fairing. The bike pictured here has a two-tone paint job and while the fairing looks good when viewed from the side profile, the same cannot be said about the front. It looks like the fairing has been designed around the FZ25's headlamp, with a flatter front. The headlamp features the same LED setup though LED DRLs make an appearance on the fairing below. The front also gets faux air scoops located on both sides of the headlamp. There is a smoked tinted floating flyscreen above the headlamp. The bike does not have mirrors though indents on the number plate assembly suggest mounting points for them. Yamaha might carry over mirror stalks from the Fazer-Fi to keep costs low. Rest of the bodywork is similar to the FZ25. Mechanicals are carried over from the FZ25 and that includes the 250cc air- and oil-cooled motor which makes 20.9PS at 8000rpm and 20Nm of torque at 6000rpm. Performance and handling will be different compared to the FZ25 given the added weight of the fairing. The FZ25 does not get ABS and going by the pictures, the Fazer 250 does not either. Going by the production-ready looks of the bike, it appears that the bike would be launched in the coming couple of months. 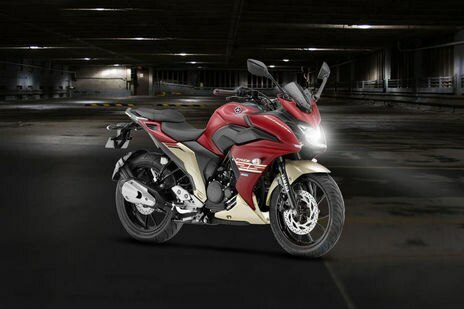 We expect the bike to be priced Rs 4-5, 000 more than the FZ25.